You will Love this Fantastic Brick Front Colonial in Popular Oak Grove. 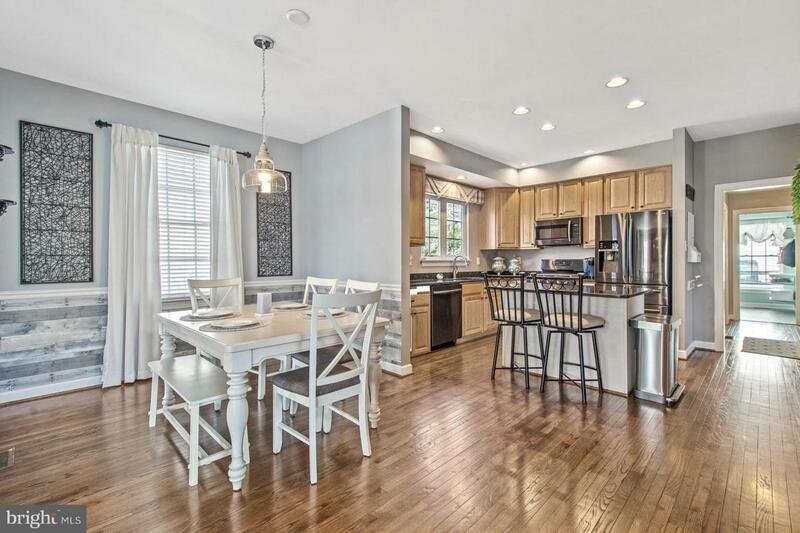 This light-filled home boasts 5 Bedrooms and an office with 3.5 baths, on 3 fully finished levels. You are greeted by a slate walkway that enters a gorgeous two-story foyer with beautiful refinished hardwood floors and a new palladian window. The well-equipped kitchen features black stainless steel appliances, granite, an island and space for a table. 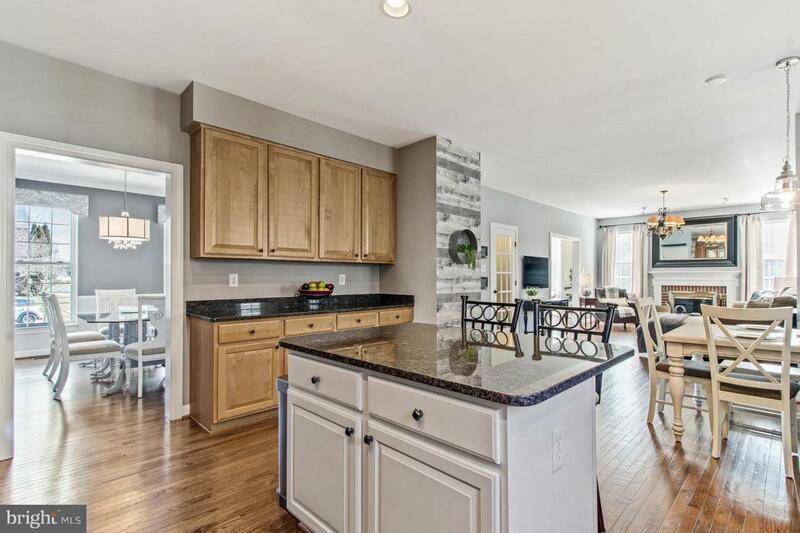 It opens to a large family room with a wood burning brick fireplace. Adjacent you will find a formal living room with a bay window and the formal dining room is perfect for entertaining. Upstairs the master suite is graced with a vaulted ceiling, a walk-in closet and an updated master bath. 3 additional bedrooms and a shared hall bath are located on this level and it has hardwood floors throughout. The walk-up basement has fresh carpet, an office space and one additional bedroom. A generous finished area and full bath for gathering adds to the appeal! You will enjoy the screened in porch that leads to a hardscape patio and fenced in yard. The corner lot is well sized, with garden beds that feature nice shrubbery and trees. 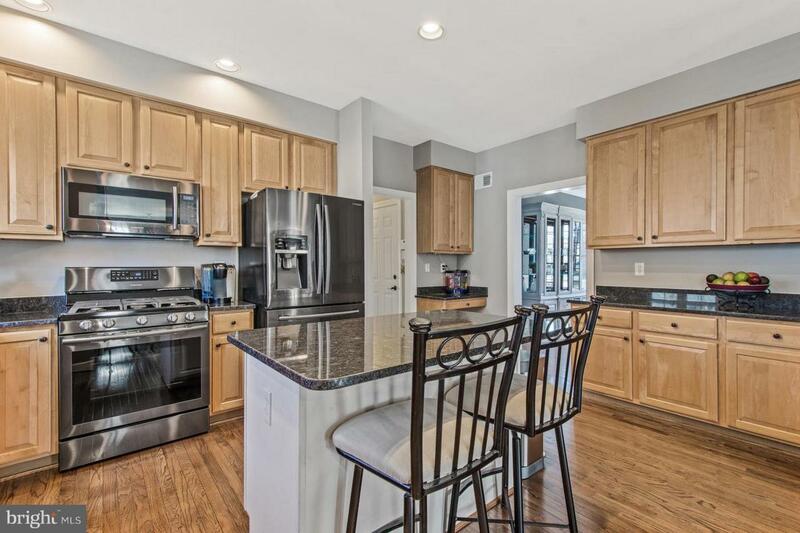 Updates and improvements throughout the home include a 2018 architectural shingle roof, 2017 hot water heater, new vanity in the master bath, light fixtures, plumbing fixtures, all door hardware, paint, fresh carpet in the basement and custom stair runner, and newer appliances & granite in the kitchen. The energy efficient HVAC system is only 6 years old. As a bonus, it is assigned to well-rated schools and close in to town too! This Home is an Absolute Winner!! Come see it today! !